The lovely city of Encinitas is a beach community in North County, San Diego. It is about 95 miles south of Los Angeles and 25 miles north of San Diego City. According to official government figures, Encinitas has a population of around 60,000 residents. This city is famous for its cultural events including Oktoberfest, Deep Pit BBQ, Fall Festival, Street Fair and many others. Homeowners in Encinitas also enjoy the services of one of the most trusted and innovative kitchen remodeling contractors in San Diego - Murray Lampert Design Build Remodel. Our team of architects, interior designers, and remodeling experts work with clients to incorporate the latest in kitchen design trends and technology in to every project. The end result is a fresh, updated kitchen space that meets our clients’ functional and aesthetic needs. 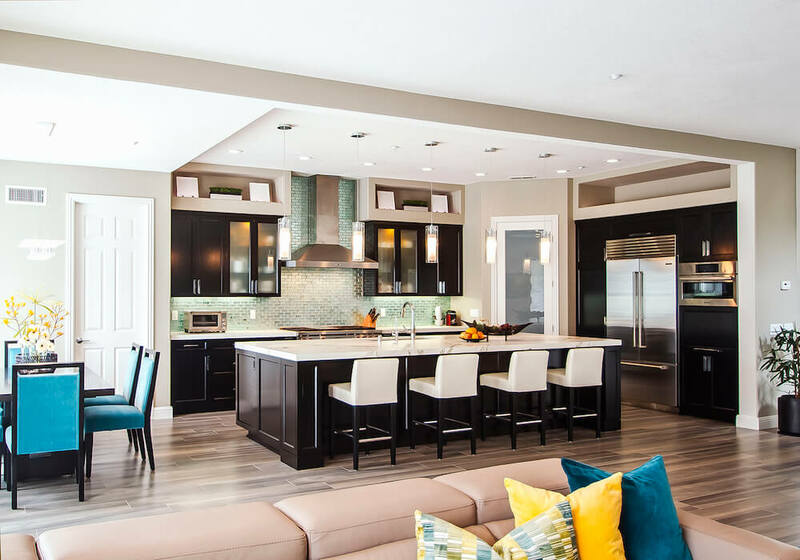 By staying on top of home remodeling trends and leveraging industry-leading technology, Murray Lampert is able to craft custom, modern, and lasting kitchen remodels for Encinitas homeowners. Since opening our doors in 1975, Murray Lampert has managed Encinitas home remodeling and kitchen renovation projects of all sizes. Over the last 40+ years, we’ve worked to master our proven design-build process, allowing us to manage all aspects of a client’s project from start to finish. From drafting blueprints pulling building permits, securing materials to vetting sub-contractors, our clients can be confident that Murray Lampert has the entire process under control. When decide on a home renovation project, clients look for a company that is trustworthy and reliable. This means the company provides accurate estimates, comes up with a reasonably priced budget and completes the project just as agreed. Over the years, Murray Lampert has established a culture of trust and reliability with clients. Clients trust our company and workers and we provide reliable services at agreed rates according to the scope of the project. Kitchen cabinets and countertops are the most distinctive features of any kitchen. That is why many homeowners choose to have tailor-made cabinets. Murray Lampert proudly constructs custom kitchen cabinetry for your kitchen, so it can complement your brand new kitchen makeover. Over the years, Murray Lampert has won a number of industry awards, including 4 Torch Awards from Better Business Bureau. These and many other awards represent the recognition of the great work we’ve done for the residents of Encinitas and San Diego over the years, which is reflected in our numerous testimonials and reviews. Our team is ready to build your dream kitchen in Encinitas - give us a call or reach out today to get started!